Receive a quote on a USDA loan today. Buy a Home Outside the City Limits with USDA! 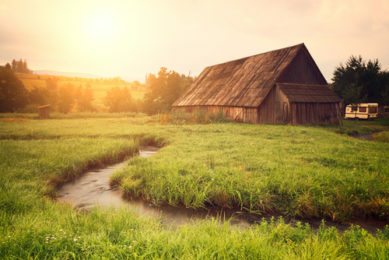 The United States Department of Agriculture (USDA) gives borrowers the opportunity to own a home outside of the city limits. There are several benefits of a USDA loan,including flexible credit underwriting requirements and no down payment required. We’re here to make the USDA home loan process easier, with tools and knowledge that will help guide you along the way, starting with our USDA Loan Qualifier. *USDA Guaranteed Rural Housing loans subject to program stipulations and applicable state income and property limits. Fairway is not affiliated with any government agencies. These materials are not from HUD or FHA and were not approved by HUD or a government agency. There are many benefits of a USDA home loan. One of the biggest benefits is that no down payment is required. * Borrowers who qualify for a USDA home loan have the flexibility to pay nothing out of pocket for a down payment. Get Your USDA Loan Quote Now!